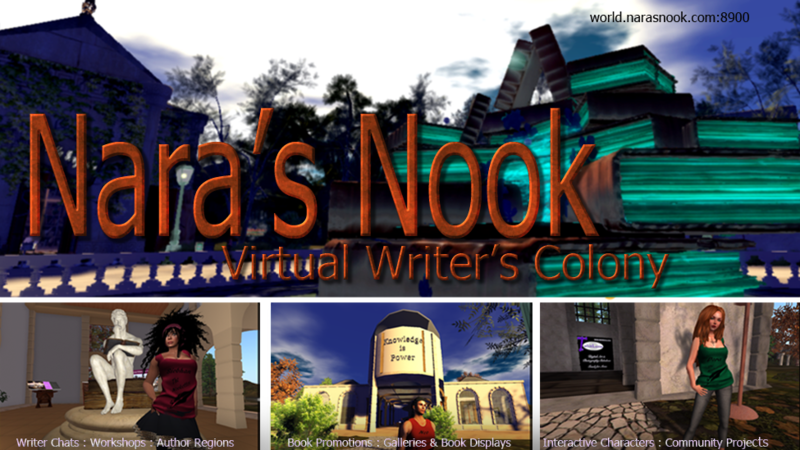 Create an account to join the virtual writer's colony at Nara's Nook. If you have set the preferences in your viewer for Nook properly, you will see a screen that looks like this. Fill in the info on the left side of the screen. Choose the type of avatar you want to create and click the create button. Then go back to the splash screen on your viewer and log on. Log in using the right side of the screen. Fill in the information for old password, then new password. Click update. Go back to splash screen and log on.